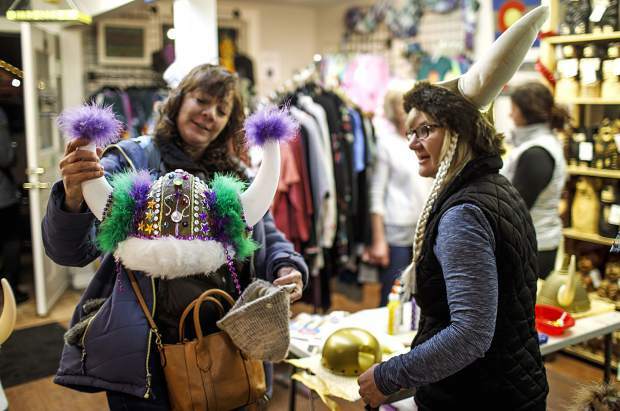 Wendy Clairmont, left, and Sheri Paul check out an ullr helmet Monday, Jan. 8, at the Get Real Bazaar along Main Street in Breckenridge. The Ullr Helmet Decorating event is available to public from 6 p.m. to 8 p.m. today at Get Real Bazaar in spirit of Ullr Fest occurring on Thursday. 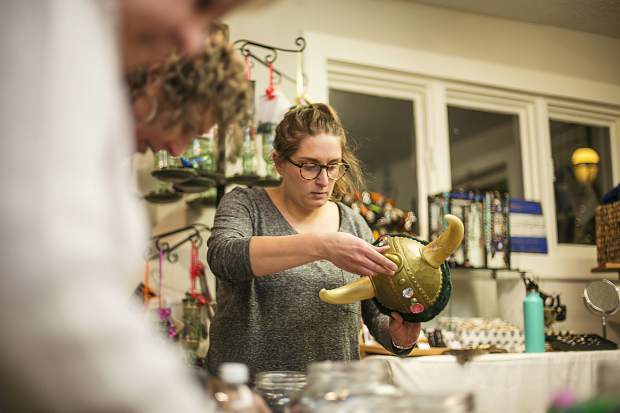 Heather Wickstrom, owner of Get Real Bazaar, decorates an ullr helmet at her store Monday, Jan. 8, along Main Street in Breckenridge. The Ullr Helmet Decorating event is available to public from 6 p.m. to 8 p.m. today at Get Real Bazaar in spirit of Ullr Fest occurring on Thursday. 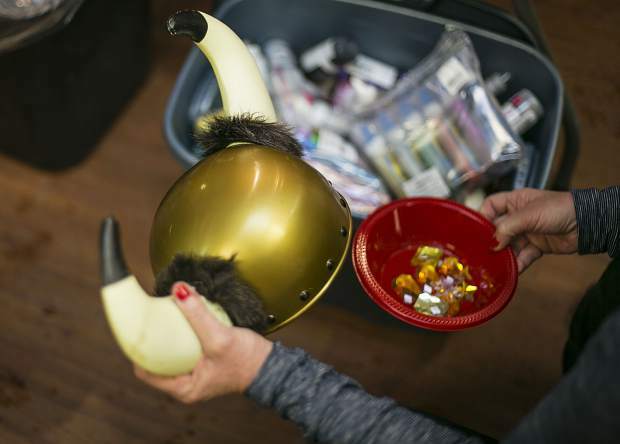 Sheri Paul decorates an ullr helmet Monday, Jan. 8, at the Get Real Bazaar along Main Street in Breckenridge. The Ullr Helmet Decorating event is available to public from 6 p.m. to 8 p.m. today at Get Real Bazaar in spirit of Ullr Fest occurring on Thursday. The Ullr Bonfire has become a wintertime tradition in Breckenridge, helping people discard their Christmas trees while honoring Ullr, the Norse snow god, at the same time in hopes Breckenridge has a good, snowy season. This year’s bonfire will be from 5-7 p.m. Thursday. 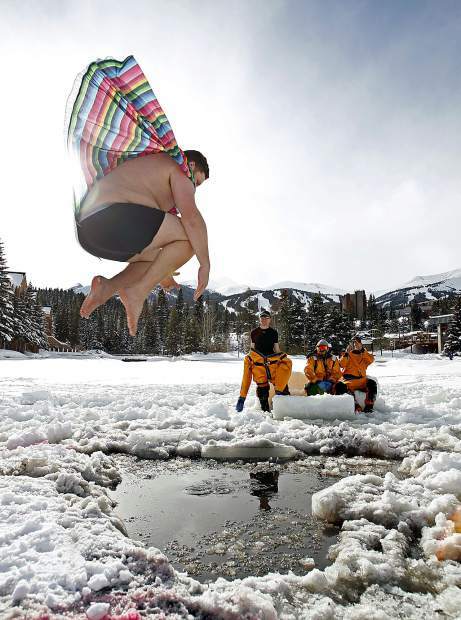 A man leaps into Maggie Pond in Breckenridge for the Ullr Ice Plunge, one of a number of events tied into the annual Ullr Fest celebration in Breckenridge. The festival that pays tribute to the Norse snow god is headed into its 55th year and goes from Wednesday-Saturday. The plunge will be from 2-4 p.m. Friday. A youngster launches off a ski-ramp float during a previous Ullr Fest in Breckenridge. 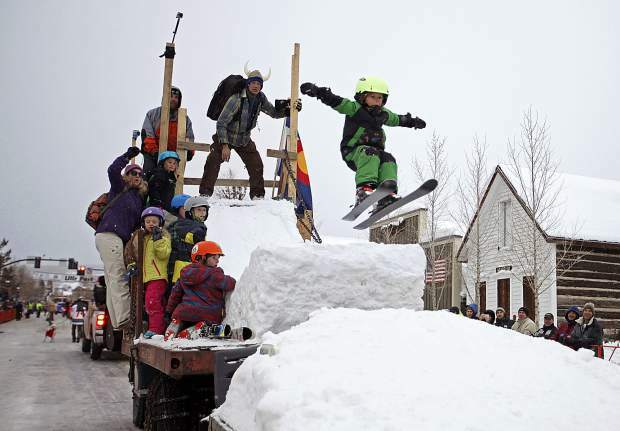 The Ullr Fest parade, which begins at 4:30 p.m. Thursday, serves as the centerpiece of the four-day festival going from Wednesday through Saturday. 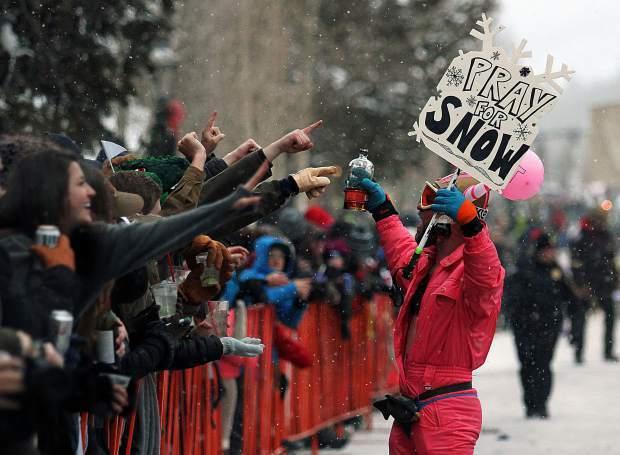 People pray for snow during the annual Ullr Fest parade in Breckenridge. This year’s parade will begin at 4:30 p.m. Thursday on Main Street, immediately after Breckenridge tries to break the unofficial world record for the longest shot ski. 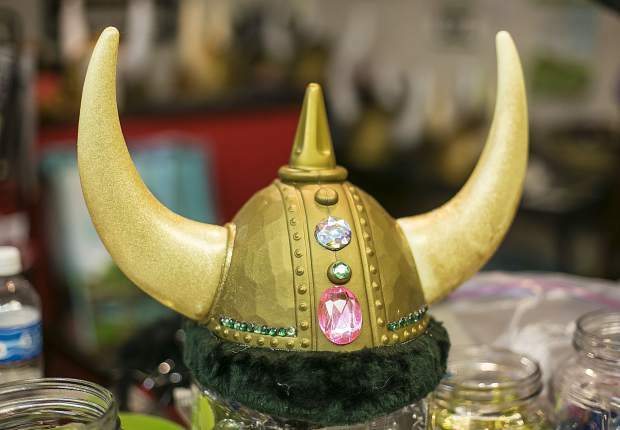 Horned Viking hats are ready for sale at Breckenridge Hat Company, a boutique shop on Main Street that specializes in wild and funky party hats. A manager there said they have about a dozen different styles of Viking hats, both for men and women, and they sell a lot of them every year for Ullr Fest. 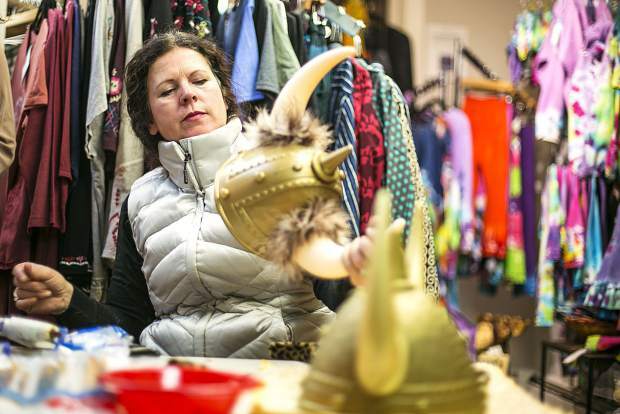 Julia Elrath decorates an ullr helmet Monday, Jan. 8, at the Get Real Bazaar along Main Street in Breckenridge. The Ullr Helmet Decorating event is available to public from 6 p.m. to 8 p.m. today at Get Real Bazaar in spirit of Ullr Fest occurring on Thursday. Ullr helmets at Get Real Bazaar along Main Street in Breckenridge. The Ullr Helmet Decorating event is available to public from 6 p.m. to 8 p.m. today at Get Real Bazaar in spirit of Ullr Fest occurring on Thursday. Ullr helmet at Get Real Bazaar along Main Street in Breckenridge. The Ullr Helmet Decorating event is available to public from 6 p.m. to 8 p.m. today at Get Real Bazaar in spirit of Ullr Fest occurring on Thursday. Below is a lineup of events for Ullr Fest in Breckenridge, a four-day festival honoring Ullr, the Norse god of snow, Wednesday through Saturday. 6:30 p.m. — Crowning of the Ullr Fest King and Queen at the Riverwalk Center, 150 W. Adams Ave., immediately before the Breck’s Got Talent contest. Doors open at 6 p.m.
6:30 p.m. — Breck’s Got Talent at Riverwalk Center. The first 200 attendees over 21 get a free beer. For more info, email miranda@alwaysmountaintime.com. 7 p.m. — Rocky Mountain Junior Hockey League All-Star Game at the Stephen C. West Ice Arena, 189 Boreas Pass Road, with intermissions featuring Ullr prizes and family fun. 4 p.m. — Ullr Shot Ski on Main Street. Registration is $10. People must be at least 21 years old with valid ID to participate. 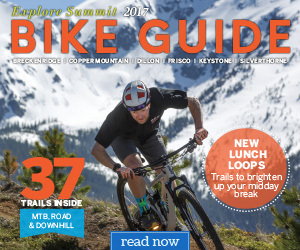 Proceeds benefit the Breckenridge Mountain Rotary. Register online at GoBreck.com. 4:30 p.m. — Fat Tire Ullr Bike Race on Main Street. Register online at GoBreck.com. 4:30 p.m. — Ullr Parade on Main Street with cash prizes. 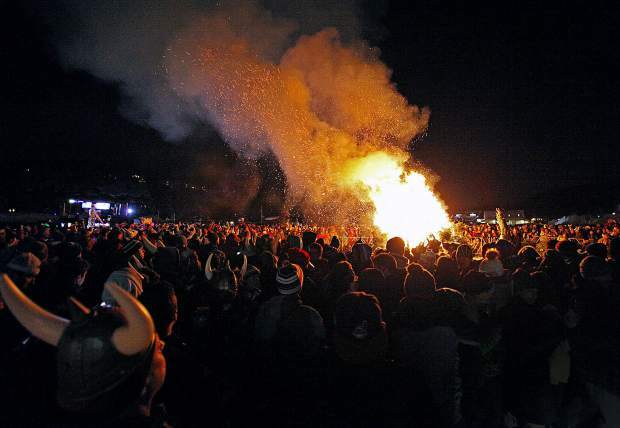 5-7 p.m. — Ullr Bonfire at the South Gondola Parking Lot with free entertainment by Red Bull. 2-4 p.m. — iFurnish Ullr Ice Plunge in Maggie Pond at Main Street Station Plaza, 501 S. Main St.
8 p.m. — Comedy Night with stand-up comedian Jimmy Dunn at Riverwalk Center. Doors open at 7 p.m. Tickets are $25 and available online at BreckCreate.org. 11:30 a.m.-1 p.m. — Family Snow Day at Carter Park, 300 S. High St. where children are welcome to play in the snow, sled, build a snowman or participate in other fun family activities. Everything is free. 1:15-3 p.m. – Ice Skating Party and free kids Ullr helmet decorating at Steven C. West Ice Arena. 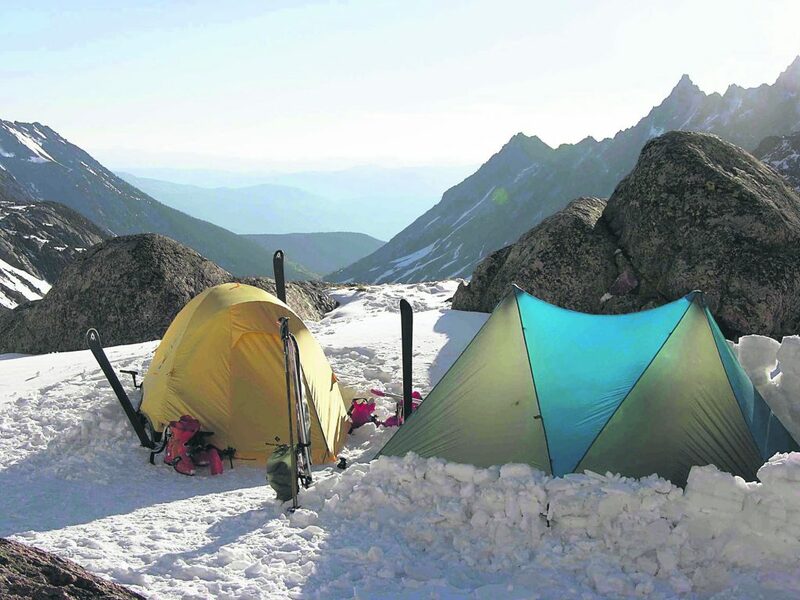 6 p.m. — Wild and Scenic Film Festival at Riverwalk Center. Tickets are $20 in advance or $25 at the door. For more, HighCountryConservation.org or GoBreck.com. 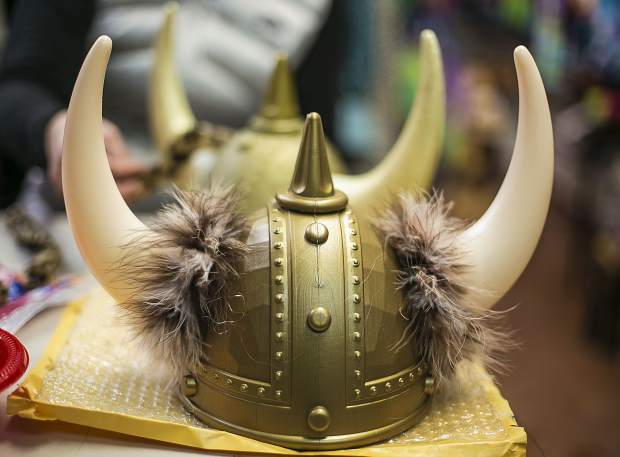 Don’t be surprised when horned Viking helmets inundate Breckenridge this week, as more than 12,000 snow-worshipers are expected to line Main Street for the 55th annual Ullr Fest parade. The parade on Thursday serves as the centerpiece for one of Breckenridge’s most well known, signature wintertime festivals, a four-day celebration paying homage to Ullr, the Norse god of snow. The name is pronounced “ULL-er” — it rhymes with “cooler” — and few, if any, Colorado towns can put on a winter festival that’s even near as cool as the one Breckenridge has been perfecting for over a half-century now. “It’s an incredible time of year for everyone who is passionate about snow and mountain living,” promised Austyn Dineen of the Breckenridge Tourism Office. This year, Ullr Fest begins Wednesday with the crowning of a king and queen, followed by a talent show and an all-star junior hockey game. For Thursday’s parade, it’s not uncommon to see some wild and crazy floats, like a hot tub or a ski jump, gliding down Main Street. “It’s like the highlight of the week,” Dineen said, explaining that people “have been preparing not just their floats, but their parade outfits” for their march down Main Street. Furthermore, there’s a $500 cash prize for the most creative float, $300 for second and $200 for third, so there’s more than just bragging rights on the line. According to the Breckenridge Tourism Office, almost two-dozen floats have already been registered for the parade, which usually lasts about an hour. However, organizers know that, based on experience, they can expect a few stragglers to join the lineup between now and Thursday. For details, go to GoBreck.com. It’s also no secret that Breckenridge Distillery intends to reclaim the unofficial world record for the longest shot ski at Ullr Fest, which will also happen on Thursday, immediately before the start of the parade. With a shot ski, shot glasses are fixed to a ski and participants all have take their shots at the same time. The distillery has been collecting old skis at its location, 1925 Airport Road in Breckenridge, for what’s become an ongoing battle between Breckenridge and Park City, Utah, which broke the record last October. To take the record back, Breckenridge will need 1,266 people, a few dozen more than the 1,234 people who participated at last year’s Ullr Fest. Then things heat up Thursday night with Christmas trees being retired in a blaze of glory for the annual Ullr Bonfire at the South Gondola Parking Lot. Dineen said the trees are already piling up, and Red Bull will provide free entertainment at the bonfire, which goes from 5-7 p.m.
Friday’s forecast calls for freezing-cold temperatures with the Ullr Ice Plunge at Maggie Pond prompting people to jump into the icy waters much the same way other cities and towns take polar bear plunges. For the first time ever, however, Dineen plans to partake in the Ullr Ice Plunge. She said that, at some point after the New Year, “you want to check things off the resolutions list.” Apparently, jumping in freezing cold water made the cut. The event is free, Dineen noted, but she’s happier knowing there’ll be a hot tub waiting for anyone who takes the dip. Friday night will bring professional stand-up comedian Jimmy Dunn, who recently co-starred on the CBS comedy “The McCarthys” as Sean McCarthy, to the Riverwalk Center in Breckenridge. Doors open at 7 p.m., and tickets are $25 at BreckCreate.org. On Saturday, there’s a handful of family-friendly happenings before the Wild and Scenic Film Festival at 6 p.m. Saturday at the Riverwalk Center. 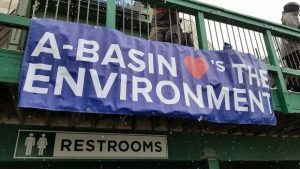 The screening is being hosted by the High Country Conservation Center, and tickets are available online at GoBreck.com. For Dineen, she can think of few better ways to mark the end of the holiday season than showing one’s respect to Ullr and thus helping ensure Breckenridge has a good winter. More than that, the annual festival has become a destination driver for Breckenridge tourism, in which guests come to Summit County specifically for the festival. 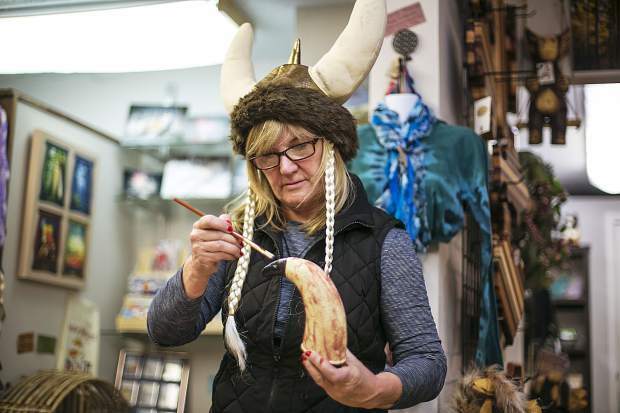 As such, Ullr Fest has also become a boon for many local businesses, and one of them is the Breckenridge Hat Company, a boutique shop on Main Street that specializes in wild and crazy caps, hats and headpieces for all sorts of wacky parties, including tributes to Norse gods. In fact, workers at the store were busy Monday setting up their Ullr Fest display, and UPS had just dropped off a delivery, store manager Paul Pierce said over the phone. He expected the display would be set up before the end of the day. “We’ve been supplying Ullr Fest hats for, well the store’s been around about 24 years, and we have something for everyone,” Pierce said, adding that one shouldn’t forget “all the accessories and fun stuff” that goes hand-in-hand with a wild hat. 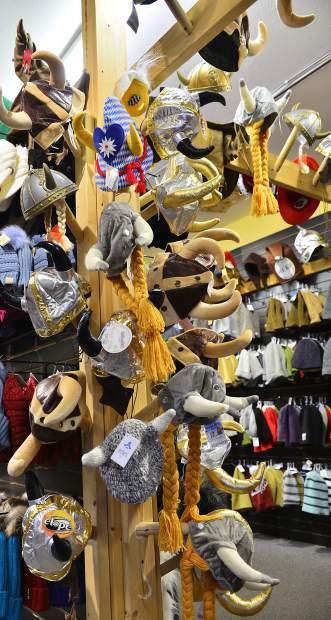 According to Pierce, the Breckenridge Hat Company has about a dozen different styles of Viking hats. They can set someone up for $25 to $35, according to Pierce, and during Ullr Fest, they sell a ton of them.